So the final reading tally for the year is 242 novels and novellas, of which 204 were new (clearly I got some reading done in the last week or so, some of them ‘holiday stories’). 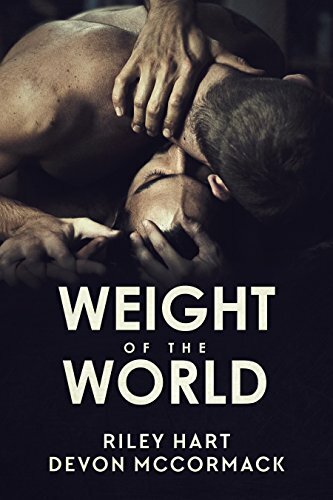 The other memorable book for September was Weight of the world, by Devon McCormack and Riley Hart. Riley Hart is one of my favourite m/m authors, so it was pretty much a given that I’d read this. It’s written alternating first person POV (I think, from memory) and is about a guy (Zack) who was talked off the ledge (literally) by another guy (Rob)… who ended up jumping himself half an hour later. Shocked and trying to understand what happened, Zack seeks out Rob’s brother Tommy and the two become, er, friendly. It’s a fairly simply but deep story about dealing with grief and healing and love. I read quite a few good ones in October… The first I want to mention is The Game Changer by Kay Simone. It’s about a ‘straight’ quarterback who gets injured and has to undergo physical therapy — and the relationship that ensues with his physical therapist. It’s a fairly simple story, but it deals with the issues of intolerance when it comes to sports stars and I really liked the way it was written. I also really liked Overexposed, the fourth book in Megan Erickson‘s ‘In focus’ series. I’ve liked all the books in this series a lot — this one was set mostly on the Appalachian Trail and made me want to walk at least some of it. Model Citizen by Lisa Kasey features an interesting main character who is both a male ‘femme’ supermodel and unlicensed private investigator, a bit out of his depth trying to run his brother’s PI business after his brother is killed. It’s both mystery and interesting character drama, with a love story developing with his brother’s friend who helps with the PI business. Three’s Company by N.R. Walker is about two guys who are running a hotel and invite a male guest, Wilson (who’s just out of a relationship), into their bed for fun… and things get a bit more serious than anticipated. Wilson is a chef, and naturally there’s ample opportunity in a hotel for him to step in and make himself indispensable. Finally, It was always you is an anthology featuring novellas from several of my favourite authors along the theme of ‘best friends to lovers’. I don’t read a lot of anthologies, but I really really liked this one! The fourth book (this time a novella) in Riley Hart‘s Crossroads series was Jumpstart. I love this whole series, especially Crossroads (one of my top 5 for last year). I’ll automatically buy anything Riley Hart (and her alter ego Nyrae Dawn) writes. 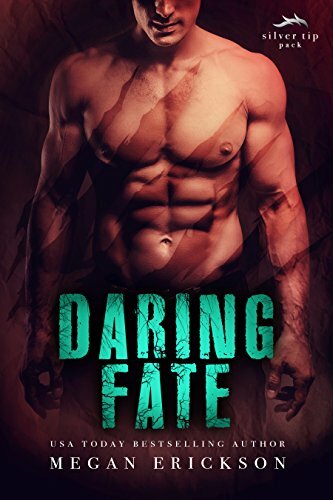 I also really enjoyed Megan Erickson‘s m/m paranormal, Daring Fate. This was set in a post-apocalyptic world in which humans have completely died out, leaving only werewolves (human/wolf), weres (which have three forms: human, wolf and scary beast thing), and zombie weres. I thought the world setup was great, with the weres and werewolves living in pack-based compounds, each headed by an alpha, trying to avoid getting killed by zombie weres. The story itself is your classic ‘fated mates’ trope you find in shifter romances (which I don’t mind), and I liked the way it was handled. Finally for November, there was Heidi Cullinan‘s fourth book in the ‘Minnesota Christmas’ series, Santa Baby (although it’s a stupid title). I found this book really interesting, because it takes the couple from the second book (Sleigh ride) and adds a third man to their relationship. But it isn’t an equal menage m/m/m relationship. Basically the new addition (Dale) is polyamorous, which seems to mean for him that he prefers to be with men who are already in a relationship. He falls in love with Gabriel… who learns that he seems to be polyamorous too. It takes a bit for Gabriel (who is a fairly conservative librarian) to come to terms with this, but surprisingly his partner (husband?) Arthur is remarkably accepting of this new development. And this may be because Arthur (a dom) recognises that Dale is a sub, so they end up in their own non-romantic D/s relationship. Confused yet? Well, it may not be your cup of tea, but I found the character dynamics really interesting. 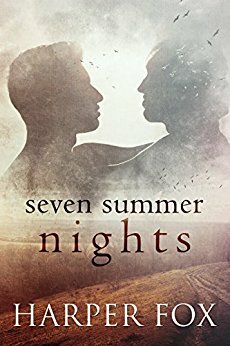 My favourite book in December was Seven Summer Nights by Harper Fox. I love love loved this book, which was definitely one of my favourites for the year. Set post WWII, it’s a complex weave of archeological and mythological mystery, the after-effects of war and post-traumatic stress, and a passionate love story between Rufus, an archaeologist, and Archie, a most unconventional vicar. It’s multi-layered and wonderful and I reviewed it in full here. 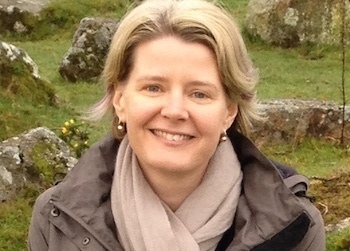 I was also thrilled to discover Lucy Lennox, who published the first three novels in her Made Marian series. Borrowing Blue and Taming Teddy were swiftly followed by Jumping Jude. Each book is completely different, but each features one of the Marian brothers. Borrowing Blue mostly takes place over a week at a vineyard where Blue’s sister is getting married, with Blue falling in love with the brother of the groom, who happens to be the owner of the vineyard. Taming Teddy takes place over several months, with Blue’s brother Jamie, a wildlife expert in Alaska, being pursued by wildlife photographer Teddy for a photographic feature. Jumping Jude takes place concurrently with both these books, and is about the relationship between Jude Marian, a country music superstar, and his bodyguard, Derek. These books are sweet and simple love stories, but there’s something about them that elevates them above much of the genre fodder. Finally, I have just finished The Aftermath by Kay Simone. This was sitting on my kindle for at least half the year, because it’s loooong (>600 pages) and I was admittedly avoiding the time commitment. But I’m glad I finally read it. The central premise is the relationship between a high school senior (Daniel) and his young English teacher (Will). Some of the conflict is derived from fear of discovery, but just as much is the result of Will’s baggage. It’s written from a third-person omniscient perspective, but gets well into the heads of both main characters. I loved all the literary discussions — the novel references many great works in some detail as part of English classes and also general discussions between the two men — and the almost literary narrative style. I do think it’s too long, but overall I found it beautiful. I’m still a huge fan of Harper Fox, Josh Lanyon, L.A. Witt, Megan Erickson, Santino Hassell, Alexa Land, Riley Hart, Heidi Cullinan… and was pleased to discover Sloane Kennedy, Garrett Leigh, Kay Simone and most recently Lucy Lennox (among many others). And now it’s 2017 and I have kindle full of more books… I wish you all a glorious year of reading. Heh. So here’s what I did: During the year, I gave every book a score out of 10, with 7 being a par score (basically something I enjoyed). Most of those in the top ten were 9s, so it actually wasn’t too hard. (I didn’t score anything 10, because I’m weird like that.) The ones I’ve mentioned in the three posts were all 8s and 9s, although I think there were a few additional 8s I didn’t mention for the sake of length. I’m looking forward to your top 10!